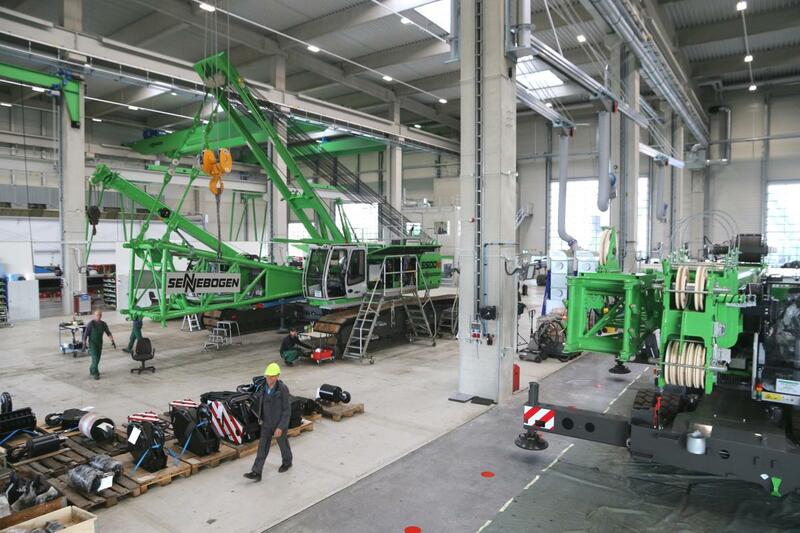 Straubing, Germany – As a worldwide equipment manufacturer, SENNEBOGEN recently celebrated 65 years of operation. Coinciding with the company’s 65th anniversary, SENNEBOGEN has inaugurated a 375,000 sq. ft. (35,000 sq. m) expansion at its Straubing 2 plant in Lower Bavaria, Germany. 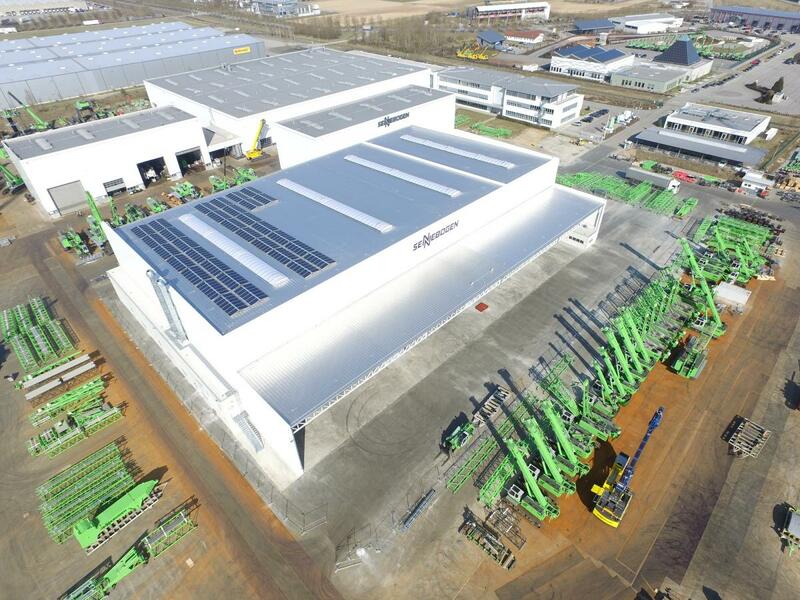 At Straubing Plant 2, an expansion over the past two years has seen the addition of about 375,000 sq. ft. (35,000 sq. m) of new production and warehouse space. At the same time, machine shipping has been restructured, storage areas extended and logistics processes optimized and modernized. Purpose-built for the material handling industries, SENNEBOGEN machines are manufactured in facilities that have been continually upgraded and modernized over the past 65 years. “There’s no such thing as can’t,” has been a philosophy since the early days of the company, when Erich Sennebogen Sr. developed a keen sense for innovative solutions and new markets. Today, SENNEBOGEN has 1,400 employees at production and support facilities around the world, including the North American headquarters just outside Charlotte, NC. With machines ranging up to 350 tons, SENNEBOGEN has always focused both on special customer-specific solutions and on individually configurable series machines. SENNEBOGEN has been a leading name in the global material-handling industry for 65 years. Based in Stanley, N.C., within the greater Charlotte region, SENNEBOGEN LLC offers a complete range of purpose-built machines to suit virtually any material-handling application. Established in America in the year 2000, SENNEBOGEN LLC has quickly become a leading provider of specialized equipment solutions for recycling and scrap metal yards, demolition, barge and port operations, log handling, transfer stations and waste facilities from coast to coast. A growing network of distributors supports SENNEBOGEN LLC sales and service across the Americas, ensuring the highest standard of professional machine support and parts availability.